Leaf Filters guaranteed to keep your gutters protected! Leaf Filter Perfect for your Home! If you are in the market for the best gutter protection available in Naperville look no further than Home Improvements USA. We provide professional gutter protection that protects against the elements with top quality leaf filters and gutter guards. Home Improvements USA can help you avoid the curse of dreaded ice dams in the winter while keeping your gutter clear of leaves in the fall. Our top-rated gutter solutions prevent clogging altogether. We can confidently say that if you choose our service you will never have to go near a ladder again. 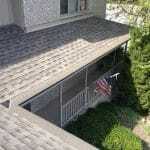 Why install Naperville leaf filters for gutter protection? 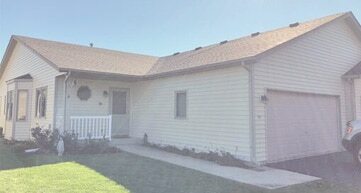 We utilize top-tier gutter protection technology at an affordable price. Our leaf filters fit any current gutter design. Our advanced leaf filter technology eliminates gutter clogging. Falling leaves are the primary cause of gutter clogging. They can damage to your home’s structural integrity by creating leaks and pooling water. Pools of water lead to structural rot, and they also can become ice in the winter. In order to maintain unprotected gutters, you have to clean your gutters regularly. This is dangerous as it requires a ladder and unpleasant manual labor. Clogged gutters are a smelly mess of rotten leaves and sludge. Our innovative gutter protection uses a leaf filter to keep leaves out of your gutters entirely. 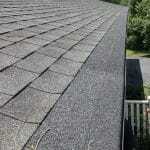 This completely eliminates the need to clean your gutters, saving both time and money. 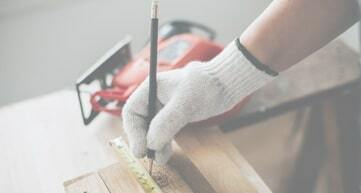 Here at Home Improvements USA, we have a large selection of leaf filters and gutter guards that will match any design and style present in Naperville. Implementing our top-tier gutter protection will save you from performing the dangerous chore of gutter cleaning. You also will not have to worry about structural damage, leaks, expensive bills, or complex remodeling projects. Our gutter guard can be installed in mere minutes by our expert contractors. We use a light frame that does not add stress to your existing system. Our system has anti-rust protection. We use effective filtering to weed out roof granules and sludge. Our system prevents pooling water which protects against cold weather. 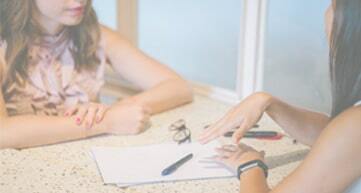 We enjoy a wealth of positive reviews from your neighbors. A gutter guard is a great home protection investment. Before choosing one, however, you need to weigh installation costs to the benefits a gutter guard gives you. The first advantage is that save you time and ensure your safety. Instead of regular gutter maintenance two to three times a year the only ladder use arrives with the installers. You also save plenty of money on professional cleaning costs as the system keeps your gutters in better condition. 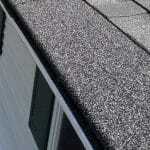 Additionally, it is a preemptive measure for costly damage caused by neglected gutters. What may take you tens of thousands of dollars to repair becomes a self-sustaining system you no longer have to worry about. Top quality eaf filters do more than prevent clogs. They also prevent the formation of ice in the key structural areas located about your home’s exterior. This is done by heating the exterior gutters through the use of a lone lower-voltage cable. This innovative approach prevents ice from forming in the worst winter weather Naperville experiences. Save yourself time, money, stress, and risk by allowing out professional prevention team to optimize your gutters system. Here at Home Improvements USA we are only a simple phone call away. 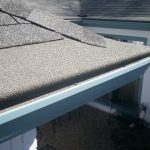 So gives us a call and get the gutter protection you need today. Leaf Filters	Overall rating:	5	out of 5 based on 1	reviews.